OAKLAND (KPIX 5) The lyrics are deceptively simple, scripted to describe everyday life — like where to buy lunch, studying for an exam, even sharing the same first name as a close friend. But the meaning behind the rap is much deeper. This jam session is being conducted at Beats Rhymes and Life, an Oakland-based non-profit that combines hip-hop and rap with self-care. 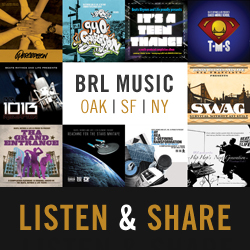 Founded in 2004, Beats Rhymes and Life, or BRL for short, was originally designed with young men of color in mind. The program has since expanded to include all youth who live in urban settings, where witnessing violence or being a victim of violence is a frequent occurrence. 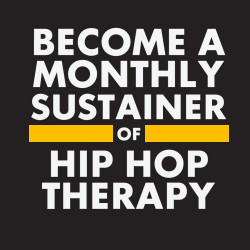 Executive Director and Co-Founder Rob Jackson says participants are encouraged to rap about whatever is on their mind, in a safe setting that utilizes hip-hop as a non-traditional therapy method. It’s a powerful message and an important one. In the US, research shows that communities of color often lack access to culturally relevant mental care health. 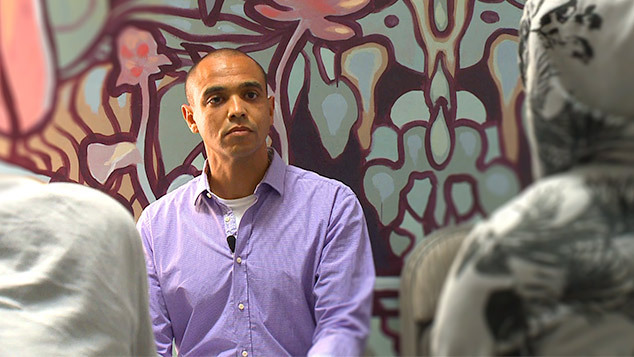 But Jackson, himself a licensed clinical social worker, sees an even deeper issue. To break that cycle, Beats Rhymes and Life mixes non-traditional leadership mixed with social justice. Free courses are offered to the most vulnerable young people, those in foster care and the juvenile justice system. But school children from Oakland and San Francisco have also participated in the program. In fact, Jackson says BRL has served over 1500 young people. It’s a 16 week process, conducted by a clinical social worker, teaching artist, and peer mentor from BRL’s academy. Course work is broken down into three parts: the history of hip-hop, self-care, and community care. The past, present, and future of all three areas are combined and explored. Many of the youth BRL serves later attend its Academy, and learn how to become community problem solvers and peer leaders, fulfilling the organization’s vision on non-traditional leadership. Former foster child Laura Tate was 12 years old, and living in a group home when she experienced BRL’s hip-hop therapy firsthand. Now, the 20-year-old aspiring mental health care advocate is also a BRL Academy member. Aspiring musician Marquise Carr was in high school when he attended a BRL course. Carr wrote his first song in kindergarten but he says he appreciates the level of maturity BRL has brought to his music. Those sentiments are music to Jackson’s ears. As a hip-hop artist himself, he says music has helped him with his own battle with depression and anxiety. Jackson has created that safe circle for all the young people BRL serves. He’s also traveled across California and beyond, teaching his hip-hop therapy. So far Beats Rhymes and Life has trained about 1000 other mental health care providers.